If you don’t already know the figure, what would you guess they assumed? Would you guess they assumed something like 3% GDP growth – the figure the Trump Administration used when releasing their budget proposal? 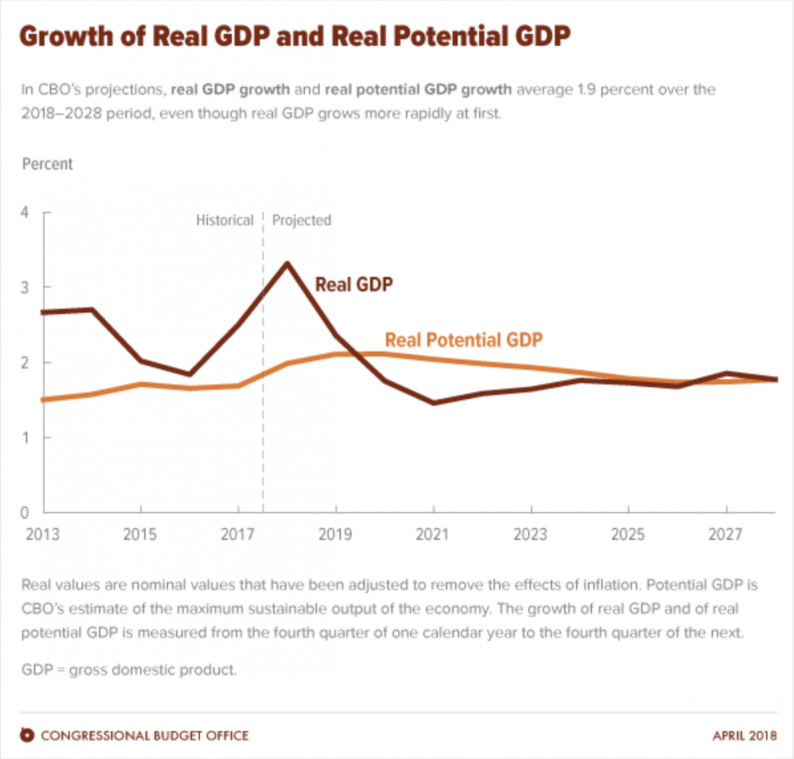 If you’re a student of politics, you likely know that the CBO is almost always more pessimistic than the President’s Office of Management and Budget (OMB), and thus projected a lower growth rate. But, how much? Would you guess 2.6% – the growth rate we saw in 2017? Perhaps something in-between, like 2.75%? Interestingly, the CBO assumed an average annual growth rate of 1.9%.Is this realistic? And, does it even matter?